The chocolatada is a wonderfully unique Christmas tradition in Peru, one that is full of Andean Christmas cheer. We have been hosting chocolatadas in different areas since 2007 as part of our commitment to helping communities. 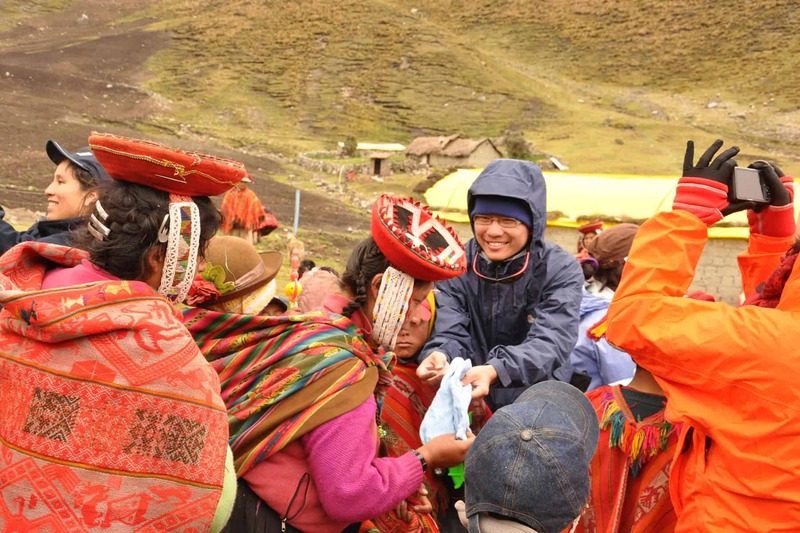 We now host an annual chocolatada in Chaullacocha, one of the communities where our Inca Trail porters are from, and also one of the communities where our sister ngo Threads of Peru works. And we want to invite you along! Read more about the Andean Christmas chocolatada tradition and Christmas in Peru. 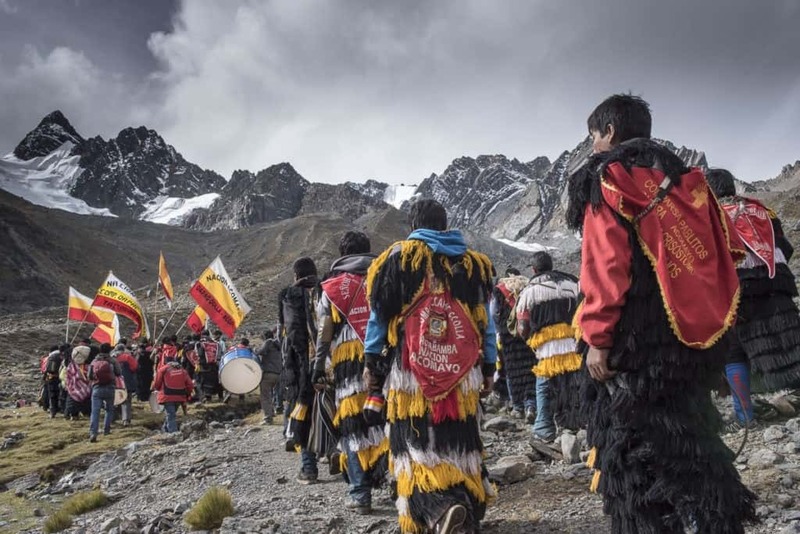 On this truly unique Peru trekking experience, you will visit colorful Andean Christmas markets, hike into remote indigenous communities, experience first-hand a unique Andean Christmas custom, and visit the unparalleled Machu Picchu! The times cited in this Andean Christmas itinerary are approximate. Walking times depend on the group, and the guide may change lunch spots and campsites, depending on the progress of the group. You will be visiting remote, high-altitude villages. Conditions are harsh and you should be prepared for extremely cold, rustic conditions. This is also wet season and it is likely to be raining or even snowing. Be prepared to be wet and cold! We depart Cusco early in the morning and travel to the town of Calca (2900 m / 9512 ft). We will visit traditional markets where people from all over the Sacred Valley trade crops. From Calca we pass Inca burial tombs, local farms and herds of wild llamas en route. 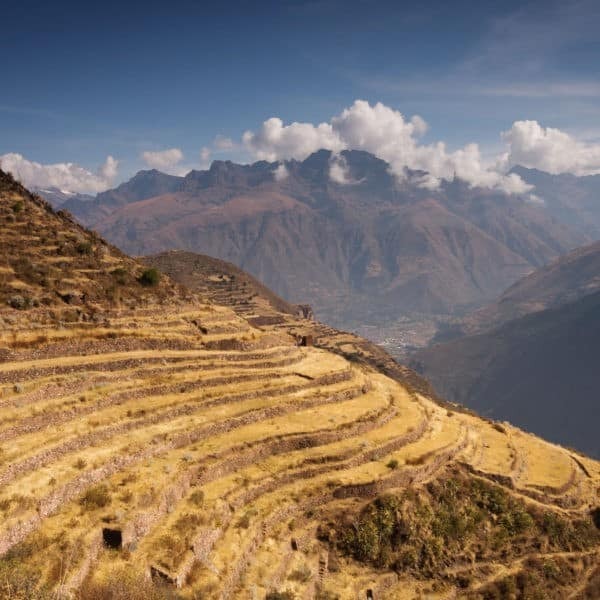 Just past the highest point of the day, we will stop for a short walk at the Inca ruins of Ancasmarca with views of the surrounding valley. From here we make our way down into the Lares Valley and the main town, Lares, where we can visit the local market before continuing onto the famous hot springs for a quick dip before lunch. In the afternoon we walk 2-3 hours to the village of Huacahuasi, a traditional Andean village, where we will camp for the night. It’s Christmas in the Andes – today we celebrate the chocolatada! After an early morning start, we hike for about 5h until we reach Chaullacocha where we will find parents, teachers and Apus Peru staff preparing the hot chocolate and goodies to give out. You will be expected to be an active participant today, helping to serve the hot chocolate or distribute gifts of clothing and toys, and generally interacting with the community, during this Andean Christmas activity. The chocolatada will last most of the day, and we’ll spend the night camping near the village. 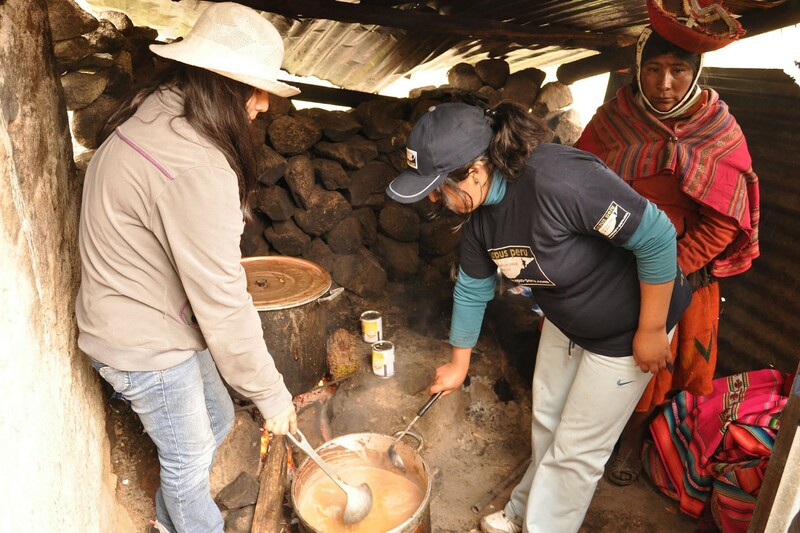 For an extra-special experience, why not spend the night with a traditional Andean family? Check out our Chaullacocha Homestay add-on. In the morning we will say farewell to the people of Chaullacocha and begin our 4h hike to Patacancha. 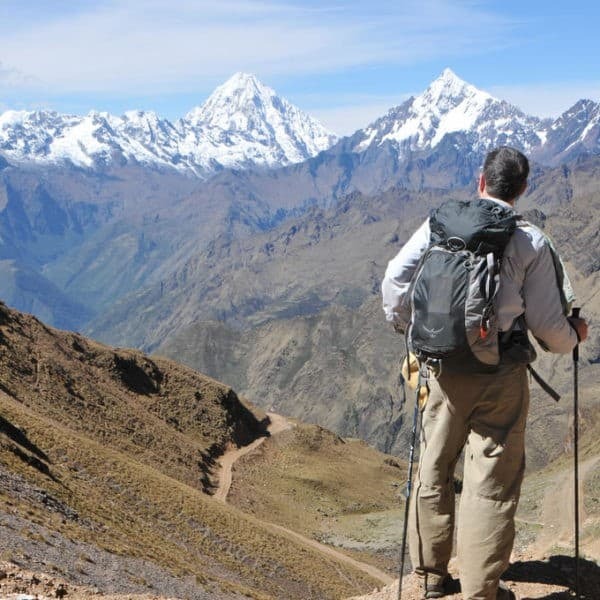 From Chaullacocha, we will climb steeply up to the final pass of the trek, around (4300m / 14,108 ft), and then the final section of our trek is a descent to the valley of Patacancha. Patacancha is a long-established textile community with strong ancient Quechua traditions. We will have lunch near Patacancha or in Rumira Sondormayo, another of the communities that Apus Peru supports via the NGO Threads of Peru. 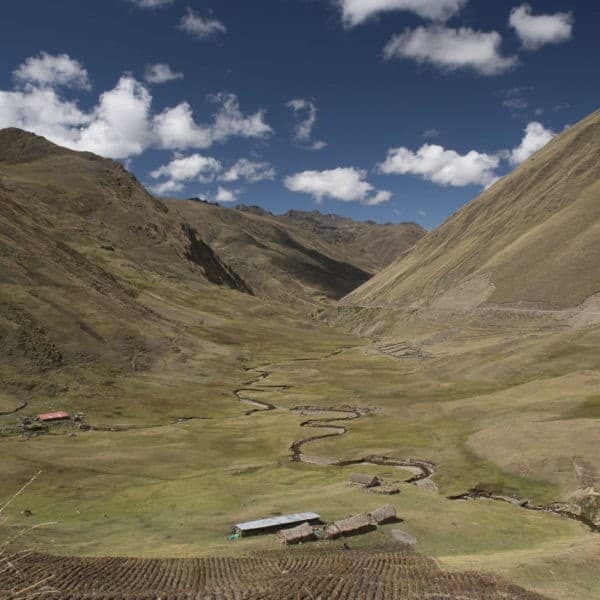 From here we will continue via private transport to the village of Ollantaytambo. We will have lunch and during the afternoon you have time to visit the ruins of Ollantaytambo. In the afternoon or evening you will take the Vistadome Train to Aguas Calientes, where we will enjoy a celebratory dinner before before tucking into our standard hotel for the night. It’s the Night Before the Night Before Christmas and we have a very early 5am start in order to reach Machu Picchu. Once we reach the site, you can explore some of the “alternative” routes – like the Inca Bridge or the Sun Gate – or even hike Huayna Picchu or Machu Picchu Mountain (separate permit required!). Then, we have a 2-3h guided visit of Machu Picchu, the magnificent Inca Citadel. 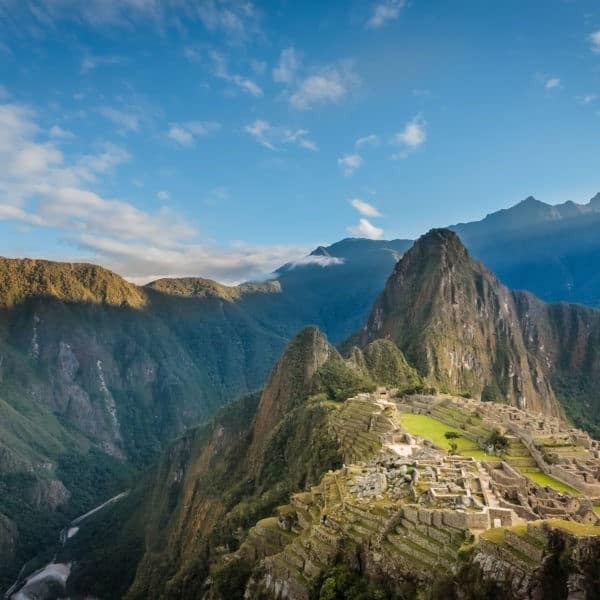 For more tips on what to see, check out our recommended Machu Picchu highlights. 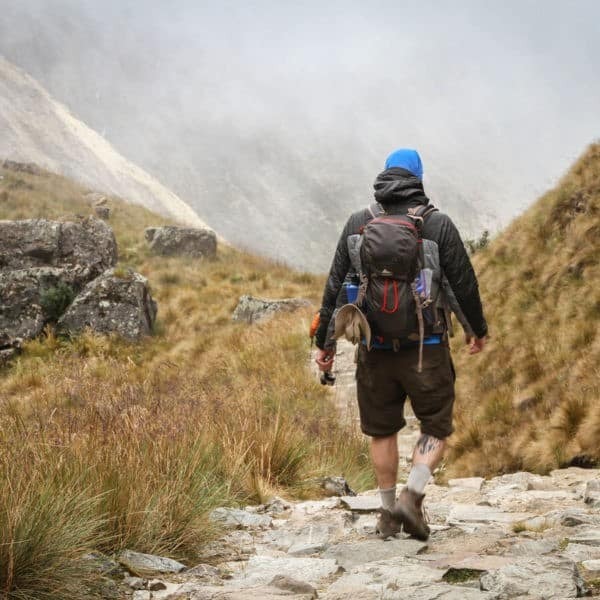 Note: There is an additional cost to hike either Huayna Picchu or Machu Picchu Mountain not included in the price of this trek, and permits must be reserved at the time of booking. We return to Cusco in the afternoon by train, arriving around 8pm when we will check into our Standard 3-star hotel. Christmas Even in Cusco! You will meet your guide in the morning who will explain all about traditional Andean Christmas celebrations in Cusco, starting with how to create a typical Nacimiento or nativity scene. 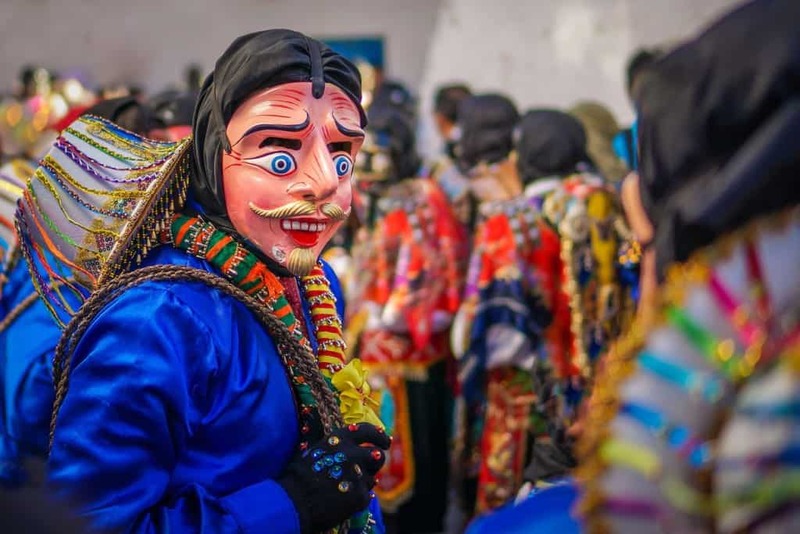 We will visit the different nacimientos in some of the churches around Cusco and also the famous “selling of the saints” market, Santikuraray (also known as Santurantikuy). This market is a not-to-be-missed experience where people are selling little figurines for the nacimientos and other gifts, decorations and food – another fascinating Andean Christmas tradition. The plaza will be packed! Stick around Cusco in the evening to experience Noche Buena (Christmas Eve) Cusqueño-style, complete with fireworks at midnight! Christmas day itself is not generally full of celebrations for locals but many tourist oriented restaurants offer special dinners and celebrations.